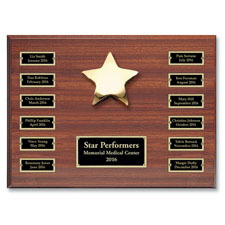 Most commonly used for Employee of the Month, the Star Performer Recognition Program has everything you need to reward and recognize your most valuable employees. (Monthly, quarterly or...) One of our bestsellers, the program features an attractive plaque crafted in a rich rosewood finish, accented by a gold-toned star. 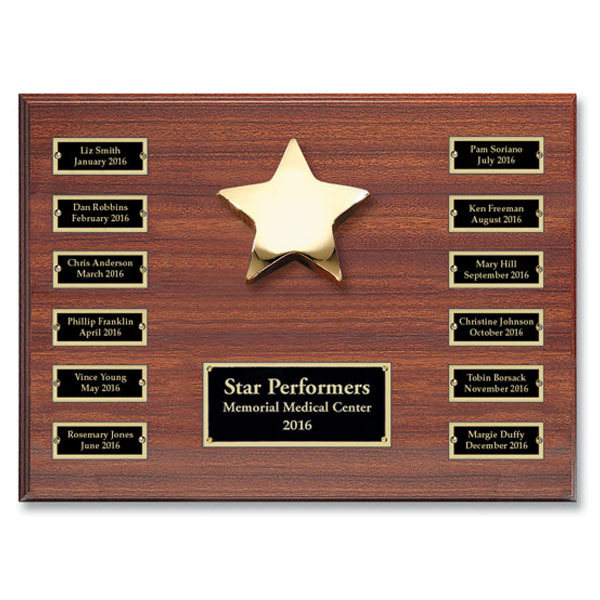 Check out the Star Performer Recognition Premium Program that includes an engraved award for each month's winner -- click here.